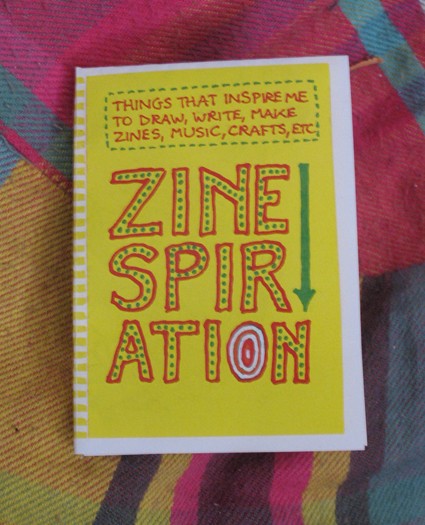 Zinespiration is a mini-zine about things that inspire me to draw, write, make zines, music, crafts, etc. It’s a colourful little booklet filled with ideas and tips for finding inspiration and encouragement for creative projects. 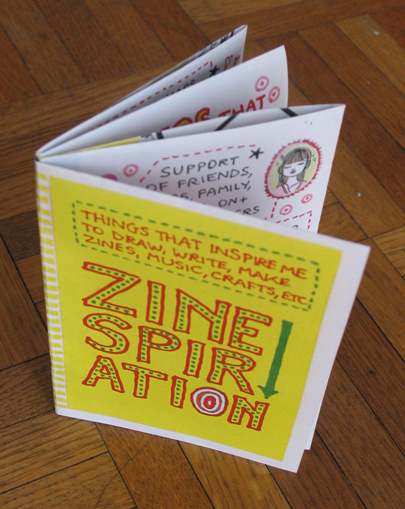 Zinespiration is a folded sheet of paper turned into an 8 page mini-zine with a poster inside. Hi there! 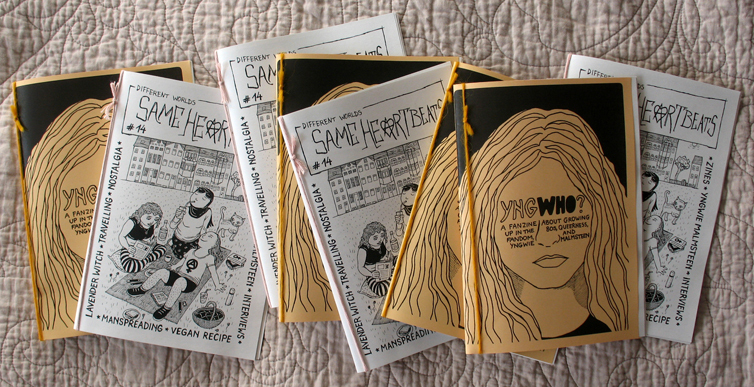 Did you see my new zines yet? 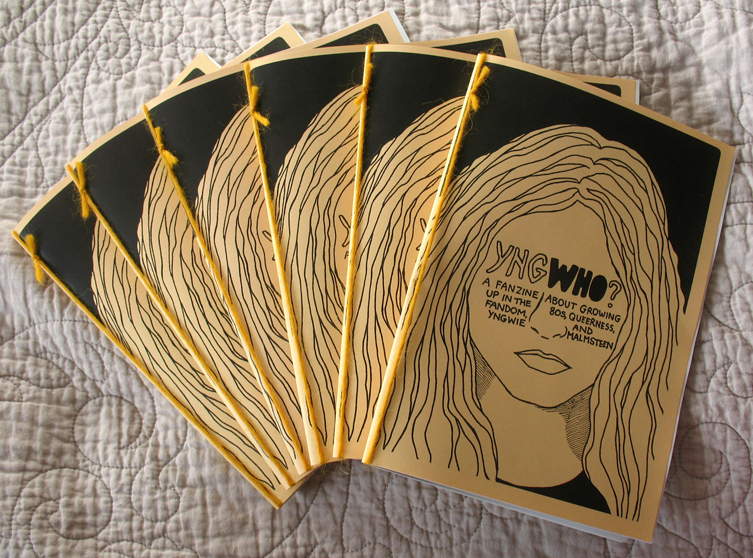 I’m excited to see my two newest zines in print: YngWHO? and Same Heartbeats #14! YngWHO? 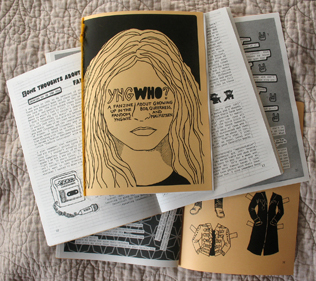 is a zine about fandom and fame, growing up in the 80s, gender, and guitarist Yngwie Malmsteen. 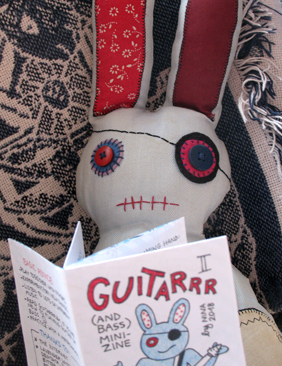 It includes Yngwie-inspired life advice, book/zine/film recommendations, a playlist, a crossword-type puzzle, and a paper doll! It’s 32 pages in A5 size. 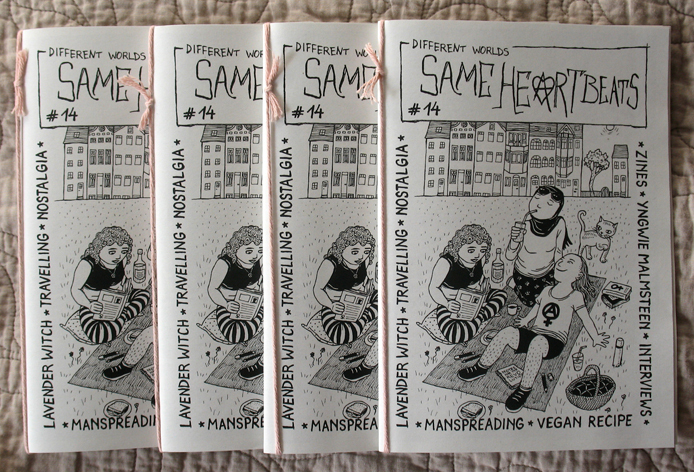 Same Heartbeats #14 is the new issue of my feminist perzine. 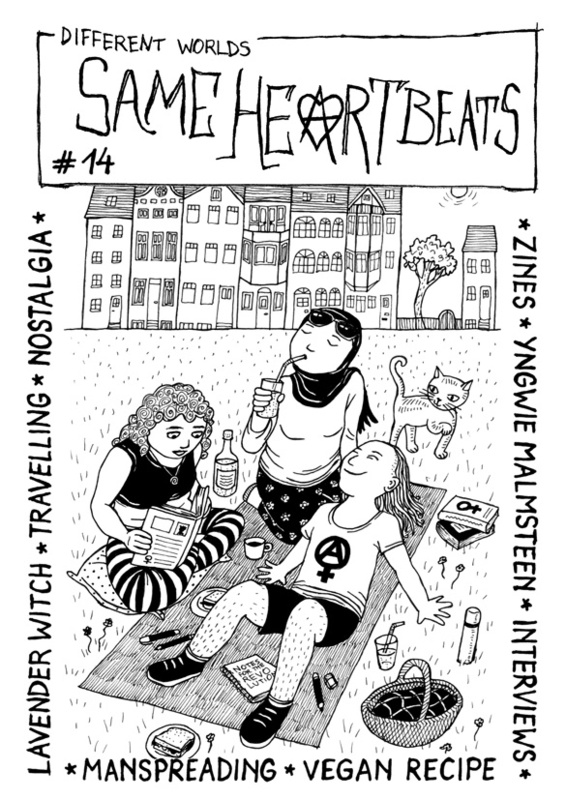 Inside I wrote about my band Lavender Witch, Yngwie Malmsteen (again), all the prize draws I ever won, zine events, travelling to the UK, … and there’s an interview with two creative DIY feminist activist friends (Asia and Emca), a vegan recipe, and a comic about manspreading. It’s 36 pages in A5 size. Both zines cost 2 euros each (+ postage). Trades are welcome. Distros, get in touch! Welcome to the first edition of “Zines I read” of 2019! 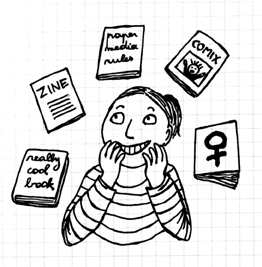 This year I want to write mini reviews of all the zines I’m reading again. So for this first edition I present you all the zines I read in the past two months. There’s a bit of everything again: zines in all shapes and sizes, comics, perzines (zines focussing on personal or autobiographical content), fanzines (about the Breeders, children’s books, metal…), zines about political issues (women in history, domestic violence…), travel zines, and more. I’m sure you’ll want to read (at least some of) them too! I tried to mention webshops, social media or websites where you can find the zines whenever possible, but if you want to buy a zine that doesn’t have any web link, contact me and I might be able to get you in touch with the zinester. P.S. Check out my zines too (I write about stuff like feminist activism, self-care, travelling, DIY culture, my stuffed bunny, and more). On Friday March 8th the vernissage of the group exhibition Règles D’A3 takes place in Namur. 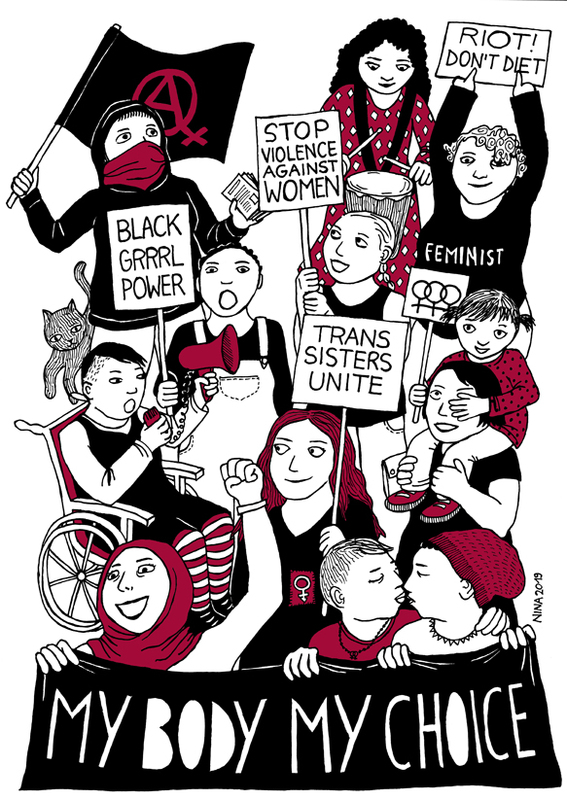 The artwork – from paintings to prints – will celebrate International Women’s Day and invite to join and support feminist struggles. 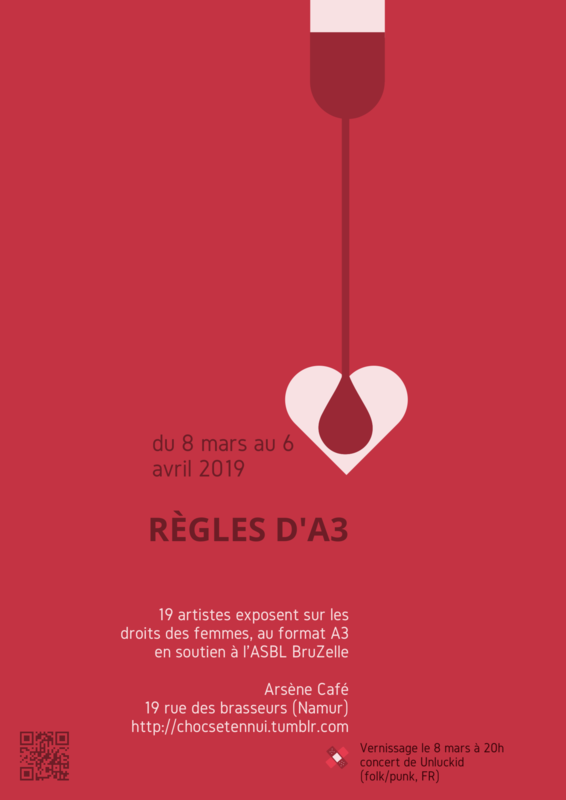 The exhibition can be visited until April 6th in Arsène Café in Namur (Belgium), and part of the sales will be donated to the organisation BruZelle who distribute menstrual products to women living in precarity. I ‘m taking part with a drawing I made (see image on the right) that was turned into a 2-colour screenprint by the collective Chocs et Ennui who organise the exhibition. Some of my drawings have been turned into screenprints before (to print on clothing) but this one was especially made for this purpose. I enjoyed drawing it and deciding on the 2 colours and I look forward to see the result on March 8th! Group exhibition for International Women’s Day: 19 artists will show their work on women’s rights, on A3 format, to support the non-profit organisation BruZelle. The exhibition opens on March 8th and runs till April 6th and is organised by the DIY collective Chocs et Ennui. There will be a concert by Unluckid too. 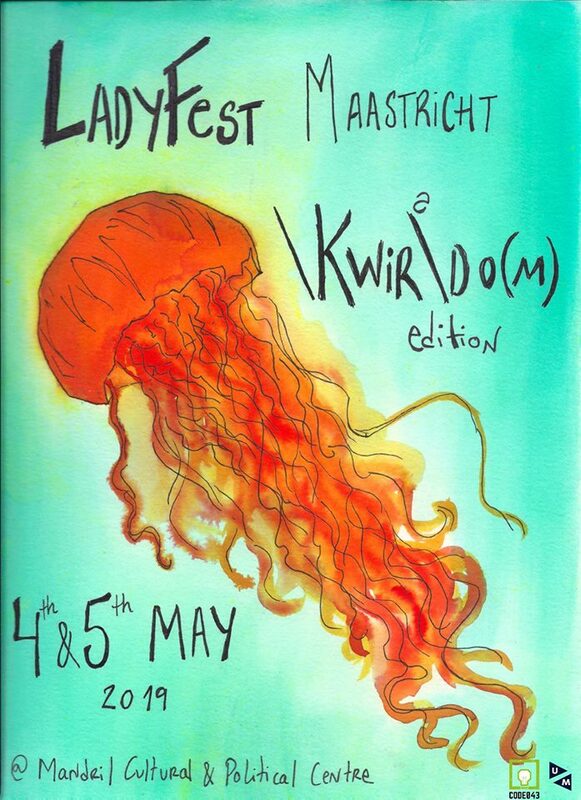 Ladyfest is a feminist DIY festival that is organised world-wide since 2000. I’m happy to see there is another edition in Brussels with a full program! Some zine friends and I will do a table with our zines. 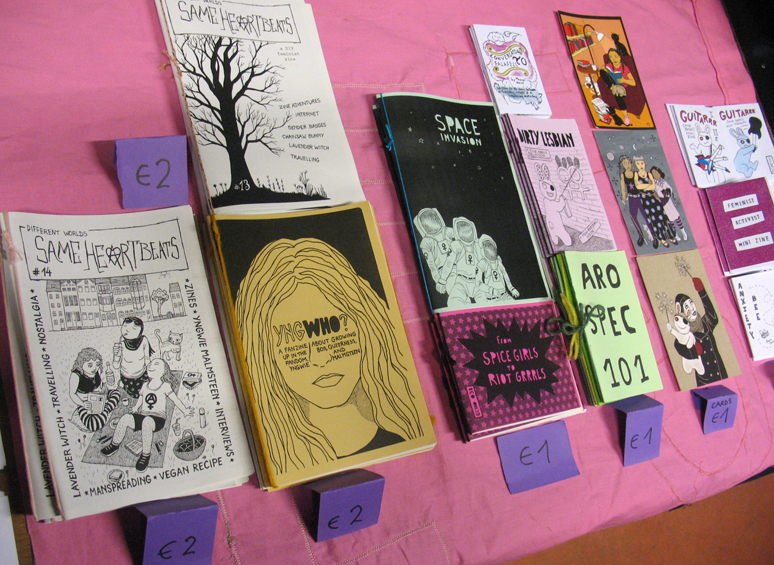 Come by and swap zines with us! 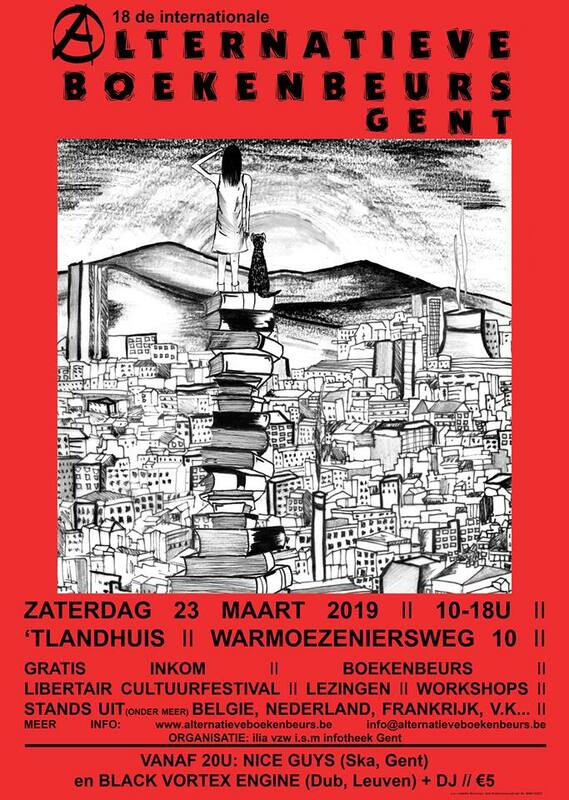 Yearly anarchist bookfair with plenty of alternative and activist book publishers, zine makers, and organisations. There is an interesting program of workshops and talks too and in the evening there is a concert and party. Attention: the location has moved to ‘t Landhuis: Warmoezeniersweg 19! 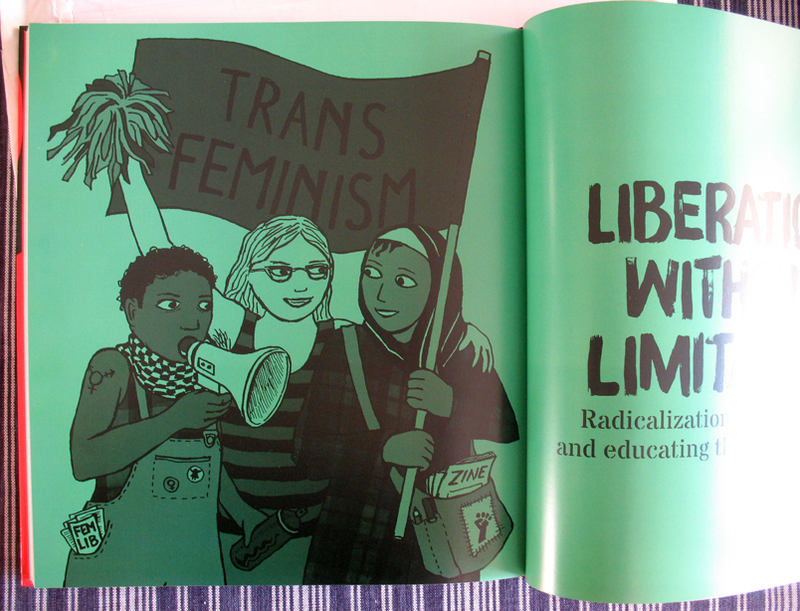 Ladyfest is a feminist DIY festival that is organised world-wide since 2000. This is the 3rd edition that takes place in Maastricht. With a full program of workshops, bands, and more you won’t be bored! 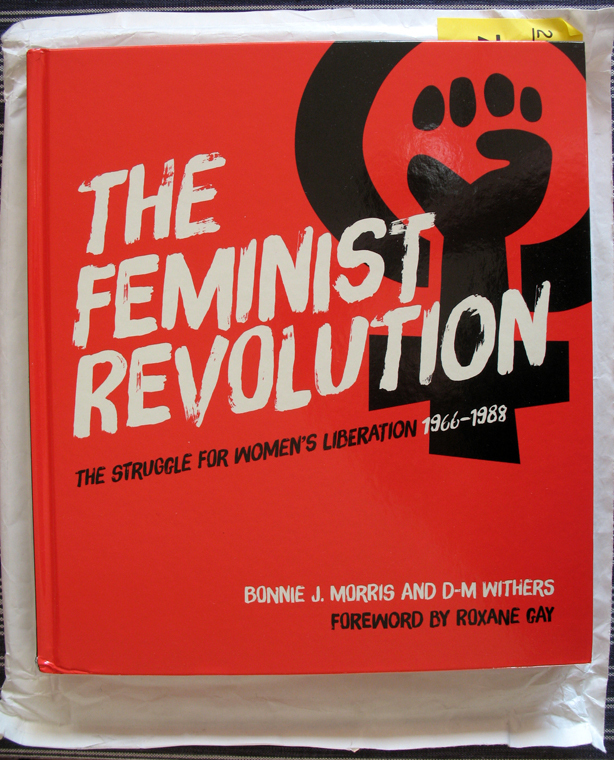 I will participate in the panel on alternative feminist media (from zines to blogs and podcasts). Not sure yet on which day the panel will take place but I’ll post it here as soon as I know. 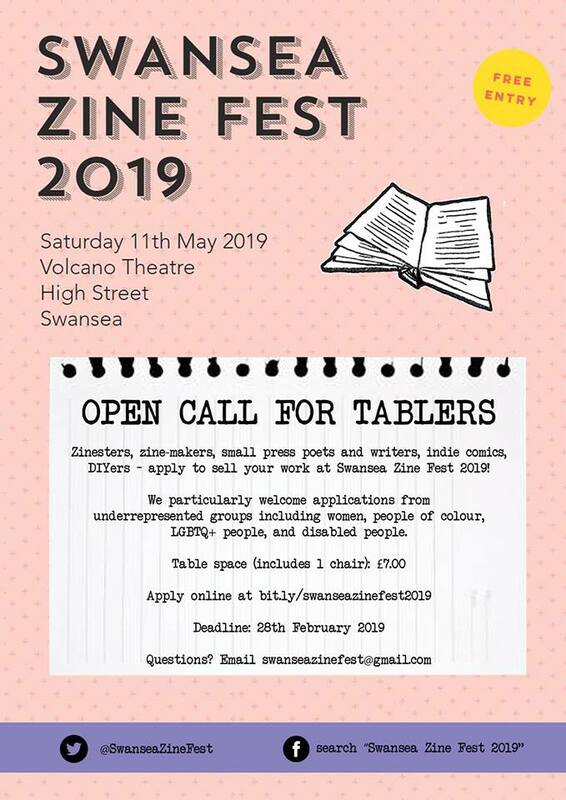 Zine fest in the seaside town Swansea in Wales. 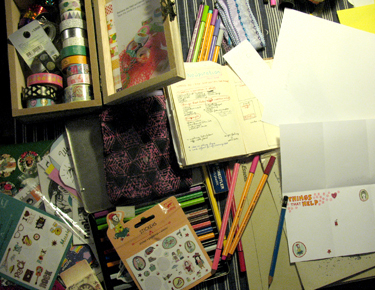 I will table with my zines. Exciting! See you at one of these events! *perzine is short for personal zine, a zine focusing on personal/autobiographical content, while a fanzine is about (a) subject(s) that the author is a fan of, is passionate about, or simply likes a lot.